← Irulan’s new pair of shoes …. I had the race of my life. It was not an easy race but it was one of my best. 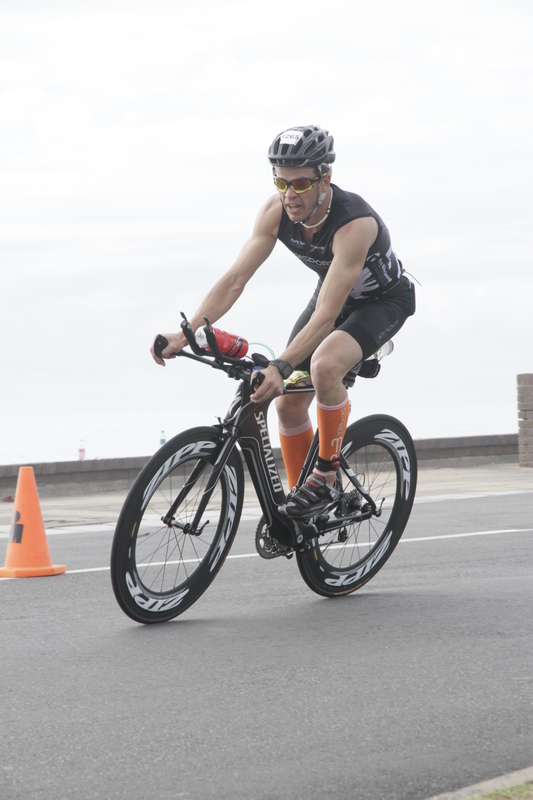 Ironman 70.3 East London was my 1st race for the season. The goal also was to try and qualify for the World Championship in Canada in September. I successfully completed the race in an awesome time and position. I also took a slot allocation for the World Championship and I am on my way to Canada later this year. I am extremely happy qualifying and also having a race now on the calendar for the 2nd half of the year. I set myself an ambitious schedule for training. I did not really keep to it but it guided me through some of the main sets. I focused on swimming and also started spinning a bit to get the legs working. I also moved my long rides from 6am to 8am with the excuse that the race would be during the heat of the day ….. real reason was – “I love my duvet”. It actually felt like I did enough. I could have done slightly more, but I kept it in a window between over training and doing enough. The build up to the race I kept the intensity a bit higher than normal and for a shorter period of time. I was rested when I arrived but not so much rested that I needed to dust out the cob webs from the bones. Saturday we did a group swim, a small run and explored bunkershill on the bike. Pizza was for dinner on the beach and an early night. Sunday morning I did a short run with the usual oats and peanut butter. I confused myself a bit through transition area. 1st forgetting my bike helmet on the bike and my swim cap in the bike bag. On the beach I realized I had my sunglasses still on and had to run back to transition to deal with them. The warm-up swim in a cold ocean was needed to deal with the shock and awe. I started in the 35-39 age group. My start at 7:20 was fantastic. No turbulence entering the water and a clear route ahead. For the 1st time I sat for a few minutes on someones feet, sorry for slapping them a bit. I did the swim without any breaststroke – huge achievement – and managed to sight well even with the swell in the water. I exited at 36 minutes. Still room to improve there. My exit was position 133 in the age group …. need to definitely improve it. I hit the bike and managed to keep a good pace and really worked it. The profile is deceiving as it shows uphill out and downhill back. The back leg was quite hilly with deceiving little hills to be conquered and the wind started to play a role. I kept my head down and managed a 2:47 on the bike. I moved up from 133 – 29th position catching up with most of them that I lost in the swim. My goal was to not let any red numbers pass me. I kinda succeeded in that with one or two that sneaked pass. The run was great I conquered bunkers hill and managed to run it up both times. I knew it would be game over if I walked it. The last few kms I opened up the taps and did a strong finish. I managed a 1:43 time. Loved the run, give me a flat course and I will do a 1:35. 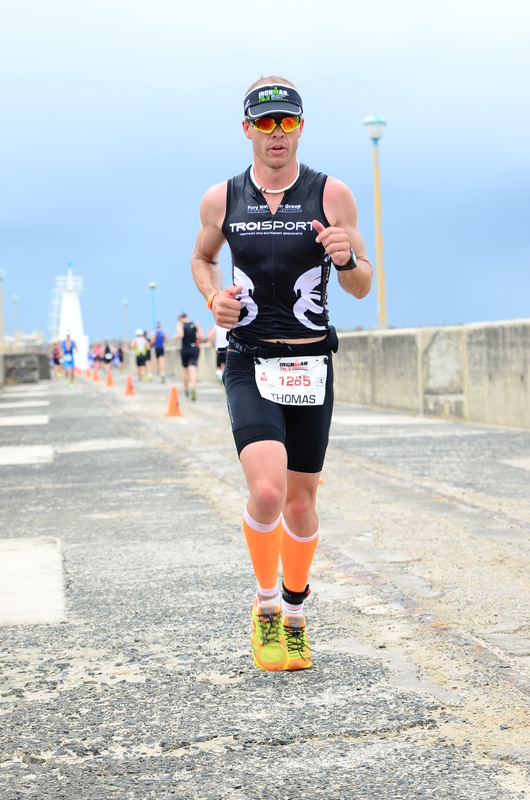 In the end I did 5:14 and position 19 in AG not a bad time for the 2nd toughest Ironman 70.3 in the world. I came out to have a great race, which I did and I also came to get a slot for the World Champions, to go race the best in the world. It will be hard but the experience will be worth it.